Coming in June 2019 (details) Pre-Order now for estimated shipment in June 2019 (estimated date / subject to change). 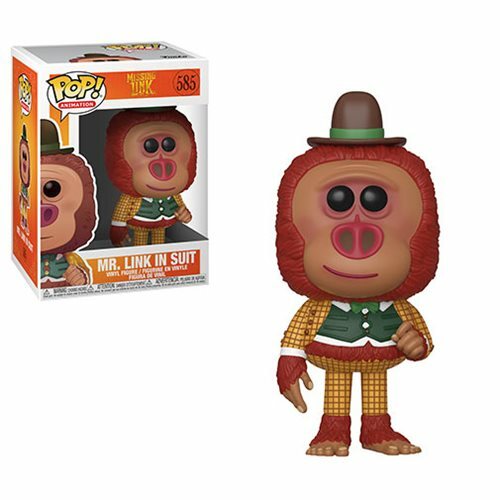 Mr. Link, the charming hero from LAIKA's stop-motion animated comedy-adventure Missing Link is also an adorable Pop! Vinyl Figure. This Missing Link Mr. Link in Suit Pop! Vinyl Figure #585 measures approximately 3 3/4-inches tall. Comes packaged in a window display box.